Traditionally grown on a family farms in Palestine. We love our trees and cultivate them with great care and respect to the environment by following the norms of good traditional agriculture that our parents have taught us. We take advantage of natural processes, which promote good soil and healthy crops. Every little detail makes a big difference when producing an exceptional olive oil. The soil, olive variety, grove treatment, climate, harvest time, and of course, production methods are all very important factors that contribute to the flavor and quality of olive oil. Throughout the year, we carefully inspected each tree to ensure a healthy harvest. Cultivation is primarily carried out by our family farms from generation to generation, which mostly use paid professional farmers labor. Consequently, most plowing, weed control and other activities must be accomplished manually or by using animals. We use traditional methods in caring of our olive trees. We do not use chemical fertilization, herbicides or pesticides. We do not use irrigation system because our trees depend on the heavy rain in winter and humidity weather during the year specially at the early morning. Premier EVOO starts in the groves. We know that only the best care will produce the purest olive oil. There are 12 months of careful tending to the land before we get to harvest our olives and mill it into liquid. We will explain what work is done through the year in our olive groves in Palestine, so that healthy trees are grown to produce good fruit (olives). Prune and shape the olive trees (when it necessary). Turning the soil, nourish the ground around the trees and cut the grass. Harvest the olives for pressing into olive oil (or for curing in jars). We start pruning the olive trees after the harvesting of olive trees immediately. From the end of October pruning begins in the groves and can go on until the end of November or first of December. We do not prune the olive trees branches every year, we do pruning when the olive trees need it only. The farmers lean their ladders against the trees and with a handsaw remove the upward-going shoots on the inside of the branches from the base of the trunk all the way to the top branches. They want to bring as much air and the light into the tree as possible. 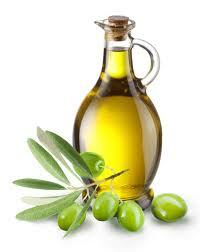 This encourages a healthy production of olives and helps to remove the threat of fungus growing. If a fungus has sickened branches, or if the branches weak or dead, they chainsaw the branch off down at the joint. The benefit of pruning is to shape the branches of olive trees in one direction to the top, allow the air and sun to enter inside the olive trees to the roots, remove the weak or dead branches so new strong healthy branches grow and to make the water circulation in the branches very easy. We start fertilizing after the pruning of the olive trees, usually in November before the rain fall. We use natural organic fertilizing (from animals); we spread the fertilizer on the soil. When the rain falls, rain water transfers the fertilizer nutrient materials inside the soil. The olive trees roots absorb the essential nutrient materials and feed the branches. This makes the olive trees grow better. We start doing this work in December for three times, once per month (December, January and February). This makes the olive trees have a lot amount of olive fruits. We turn the earth with a tractor or animals which cuts into the earth 21 centimetres deep, turning it over, getting rid of weeds. The nutrients in the soil are for the trees only. The grass and weeds have grown tall in the groves by May and need to be cut so that the nutrients that were feeding them now feed the olive trees. During the tractor or animals turning the soil over, they cut the grass.